Jacksonville's first mead and cider bar is now open. The Mazer, owned by Ed and Beth Stansel and Whit and Regina Heffington is located at 1508 King St. Jacksonville, FL 32204. The Mazer opened for the Jax By Jax literary festival a few weeks back on Saturday, Nov. 12. The Mazer features mead, cider, boutique wines and champagnes, craft beers and light fare. Once federal and state licensing has been obtained by its wholly owned production arm, East Florida Fermentology LLC, The Mazer will be serving meads and ciders brewed in the bar’s in-house winery, with production estimated to start by mid-2017.Until then, the folks at The Mazer will be pouring a variety of hand-crafted meads, ciders and beers from across the country and abroad. 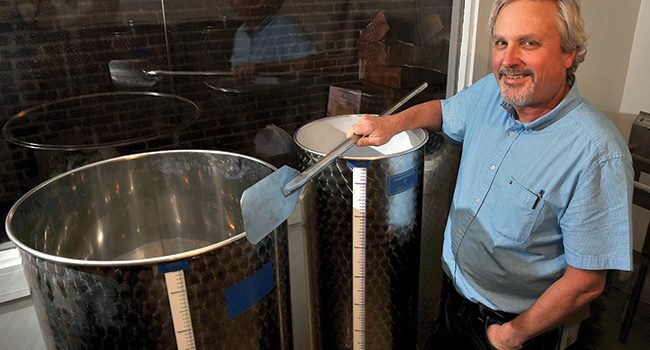 Ed Stansel, an award-winning home brewer and mead-maker whose beer recipes have been commercially brewed by several Jacksonville craft breweries, will be the creative genius of production, concocting mead and cider to be served in The Mazer’s taproom. Beth, his wife, serves as his muse and motivator. Regina and Whit have owned and operated the Silver Cow for almost three years, bringing tap house management experience to the group. The Mazer team’s goal is to provide Jacksonville with new tasteadventures in adult libations. Although mead – or honey wine --is believed to be the most ancient of alcoholic beverages and is the fastest-growing segment of the U.S. craft beverage industry, Ed says many people are not familiar with it. “The biggest misconception is that all mead is sweet,” he said. “Customers who come into the Mazer often are surprised to learn that mead can be dry, semi-sweet or sweet, still or sparkling, just like fine wine, and can be made with a variety of fruits, spices and herbs. There really are no limits to what you can do with mead.” He said some of his favorite meads are traditional – made only with raw honey, water and yeast. “Those really let the honey character shine through,” he said. Another favorite is cyser – a hybrid of honey wine and apple cider. Meadmaking supports beekeepers, who in turn ensure a healthy population of these pollinators that are so essential to our food supply. The Mazer and East Florida Fermentology plan to partner with area beekeepers and source honey and other ingredients locally and regionally. The Mazer gets its name from a Medieval drinking cuptraditionally used to serve honey wine and other alcoholic beverages, and also from the fact that meadmakers often are called mazers. Monday – Thursday: 5 p.m. - 11:30 p.m.
Friday and Saturday: 4 p.m. - 1 a.m. The Mazer will feature various events from tastings, food and dessert pairings; educational classes for mead, cider and wine;art classes; homebrew sharing events; and pollinatorconservation and awareness programs. 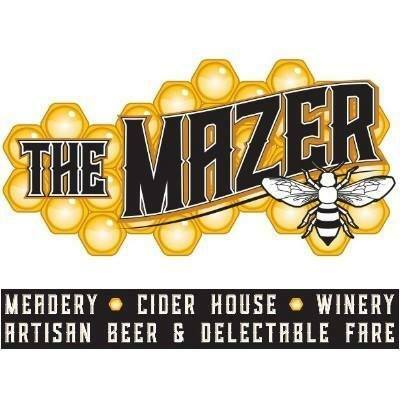 The Mazer will be adding retail items to its menu featuring local honey, honey soap, candles, and bottled mead, cider and wine that will be available for purchase to go. Growler fills of select meads and ciders will be offered as well. 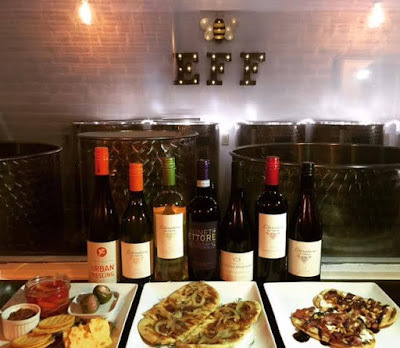 The Mazer's Happy Hour is daily until 7 pm with $4 wines by the glass and $1 off all meads, ciders and beers on tap and $2 off mead and cider flights. You can also visit www.mazerjax.com or follow mazerjax onFacebook, Instagram and Twitter for all their upcoming events and classes. What could be better way to earn prizes than this one? Seriously i appreciate your marketing wisdom.Everyone would like to be the part of this promotional activity.